The 2018 CC Summit was an epic experience of community and marshaling of the forces of renewal in the Church. We were only able to host 150 of our community this year, but we don’t want anyone to have to miss out on the prophetic words and testimony that were shared. You can download the digital pass whenever and watch at your leisure. A great way to spend a Saturday afternoon! Matt Meeks is the Chief Digital and Marketing Officer at the Archdiocese of LA and has a passion for mission focused organizational design. Meeks has advised Hollywood studios, game developers and publishers, celebrity talent, nation states and technology start-ups from an enterprise, brand, product and campaign standpoint. He loves recruiting, training and managing driven teams that transform culture. Angela is known for her work as the Director Of Mission Advancement at Endow and for her role in scaling Focus, but a lesser known and fascinating reality about her and her husband Bill is that the Lord led them to leave city living behind to build a self sustaining permaculture ranch in Montana. Angela and Bill will be speaking to us about God’s heart for his Church, and why he put us in a garden at the beginning of time. Steven Lawson is the founder and creator of the Monk Manual, a daily system for peaceful being and purposeful doing. Previously, he served as COO, Director of Communications and New Initiatives for Dynamic Catholic. While working towards his childhood dream to become an animation director, he had a profound conversion experience in New York City leading him to pursue a path in ministry. Steven lives in Cincinnati, Ohio with his wife Lauren and children Henry, Jack and Caroline. Story Architect at Sherwood Fellows, Captain of the Ship at Catholic Creatives, and Executive Producer of 8beats. Managing Director at The Archdiocese of LA’s communications office. Liz is an experienced digital and social media supervisor, skilled in managing the world's leading entertainment franchises, CPGs, technology brands and biotechnology clients. Now she uses her skills to manage one of the best teams in the game in order to transform diocesan communications. She’ll be speaking on leading with understanding. JM spent the majority of his school years attending to his entrepreneurial obsessions rather than classes. After building and selling his first business between the ages of 14 and 18, he moved on to developing networks and tinkering with the internet. Past lives have found him toiling as a project manager, marketing consultant, hotel manager, commercial photography producer, events coordinator, and enthusiastic albeit unsuccessful band manager. He converted to Catholicism and Canadianism in relatively the same time frame and now spends his time as a strategist and partner at Glass Canvas. Fabi is a Character Artist at Disney Design Group in Florida. Childrens book writer and illustrator, and lover of stories. Fabi will be talking with us about her own The Hero’s Journey and how “The Lion King” formed her creative passion. Jacob Popčak is an award- winning artist, illustrator, and speaker. With skills and insights picked up from Masters degrees in both design and psychology, he’s one fascinating dude. He’s created work for some awesome clients, has had his worked recognized by Disney, and his first children's book, Paul and His Friends will be published by Paraclete Press this fall. Ryan is the cofounder of Cathio, which aims to support and strengthen the good works of the Catholic Church across the globe by leveraging blockchain technology to create stronger communities, spur innovation, activate young leaders to offer solutions, and increase transparency. Msgr. Don is a beloved father of many creators and thinkers. He founded the Pastoral Reflections Institute as a way to awaken hearts to the ever creating presence of God. His message is rooted in the recognition that as believers we are called to accept our human condition and its perfect compliment, the indwelling presence of a loving God. As one who longs 'to see', Msgr. Don has always looked for the story within the story, the hidden teaching of Christ, which rather than telling us what to do or what to believe, heals and transforms us. Joel Triska is the cofounder of Life in Deep Ellum, a cultural center built for the artistic, social, economic and spiritual benefit of Deep Ellum and urban Dallas. He also co-pastors The Gathering at Life in Deep Ellum with his wife Rachel. Their work in Deep Ellum has been featured all over the place for their innovative approach to church, art, and cultural impact, including The New York Times and Christianity Today’s Leadership Journal. Serving at a place like Life In Deep Ellum (LIDE) has been something of a dream come true for Rachel. She leads the faith community, while making sure the LIDE community connected every day of the week with the rest of the neighborhood. On her days off you’ll most likely find her exploring with her kids, working on her Sci-Fi Fantasy novel or rereading a Tolstoy classic. Sean is the founder, chief operating officer, and president of several businesses, and he is also a speaker who talks on pro-life issues, Christian apologetics, and business. What most people don’t know, is that Sean also is running one of the first underground catholic cultural centers of it’s kind, a convent in NYC that has been given over to the purpose of evangelizing through culture. Corynne is the founder of The Catholic Woman, which has set out to illustrate the many faces & vocations of Catholic women so that millennial Catholic women - of all backgrounds, races & vocations - can know that all women are welcome, accepted & valued in the Catholic Church. Ralph Meeks is a kid, and as such, is more creative than any of us. He will speak to us about many many very important things. Katherine Meeks has a heart for empowering women to live their dreams and cast out into the deep for the sake of the world. She’ll be leading a panel on living the vocation of marriage alongside of pursuing world changing dreams. Matthew Pinto has been at the forefront of multiple Catholic initiatives since he began full-time in ministry 25 years ago, including the Theology of the Body Institute, Envoy Magazine, and Catholic Exchange. Matt is the founder and president of Ascension Press, a leading publisher in the Catholic Church. He also serves on several boards including the Association of Catholic Publishers. He’ll be speaking with us about ministry and entrepreneurship. A once a broadway actor and musician, Jeff now has a proven track record of executive leadership, culture building, and innovation through extensive experiences in sales, coaching, company start-up, and strategic management. He’s nationally recognized for creation of several highly successful nonprofit corporations, but he is one strange guy, and we’re pumped to hear from him about how he’s leveraged his strange way of thinking and turned it into an advantage. 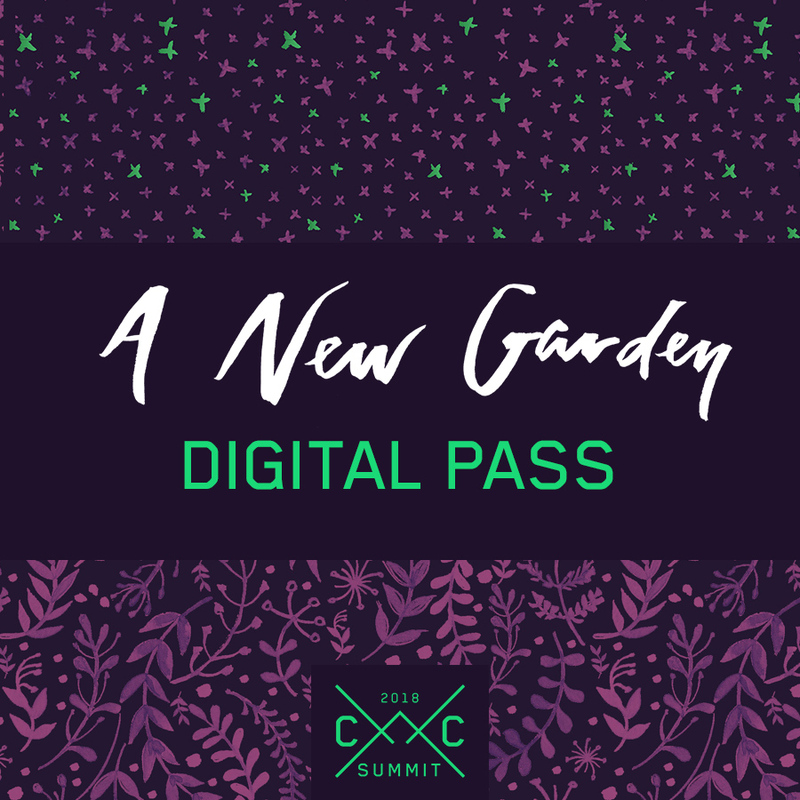 The digital pass attendees will only be able to live-stream our Main Stage breakout.